Hard drive and caddy are not included. Compatible system. The HP G62 Hard Drive Laptop Caddy w/Screws FBAX6009010 FBAX6010010 has been graded A. This item is 100% tested, functional, and in very good condition. Robot Vacuum Parts. Used Robot Vacuums. Fans - Cooling Fans. G42 G42T G50 G56 G60 G60T G61 G62 G62T G70 Series All Models. 250GB Hard Drive for HP Laptop. Capacity: 250GB. Buffer Size. Ultra Quiet : Advanced noise reduction using a Voice Coil Motor (VCM) Damper. Compatible models: HP COMPAQ G42 G62 G72 Package include: 1X Hard Disk Drive Cable Brand Unbranded Country/Region of Manufacture China UPC 823308441876 MPN DD0AX6HD102. 1TB Hard Drive for HP Laptop. Condition Capacity RPM Buffer Size Warranty. Ultra Quiet : Advanced noise reduction using a Voice Coil Motor (VCM) Damper. Buffer Size 8 MB Drive Type SATA. Product Life 5 Years Buffer to/from Host Max 3.0Gb/s. 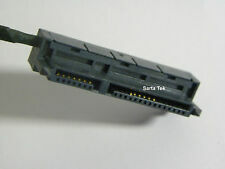 Product Classification:Genuine Laptop Sata hard drive connector HDD cable For HP G4 G6 CQ42 CQ43 CQ62 G42 G56 G62 G72 431 35090AK00-600-G. Compatibel Model: For HP G4 G6 CQ42 CQ43 CQ62 G42 G56 G62 G72 431. HP COMPAQ G42 G62 G72. 1X Hard Disk Drive Cable. Universal 2nd HDD SSD Hard Drive Optical bay Caddy Adapter for HP Pavilion G62 G70 G71 G62-b45EM Swap TS-L633N. 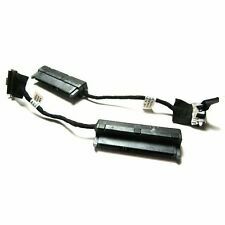 for HP Pavilion G62 G70 G71 G62-b45EM Swap TS-L633N ;. With the second HDD/SSD in your Laptop, You can speed to backup important applications and critical data ( Simply remove your CD-ROM drive and put the Caddy (with the added hard drive) in its place;. ). G Notebook PC-- G60 G60t G61 G62 Series All Models. 250GB Hard Drive for HP Laptop. Condition Capacity RPM Buffer Size Warranty. Noise Guard technology that is a combined technology to eliminate each noise source or to minimize energy transmission. 320GB Hard Drive for HP Laptop. Condition Capacity RPM Buffer Size Warranty. Ultra Quiet : Advanced noise reduction using a Voice Coil Motor (VCM) Damper. Buffer Size 8 MB Drive Type SATA. Product Life 5 Years Buffer to/from Host Max 3.0Gb/s. HP G Notebook PC G42 G42t G50 G56 G60 G61 G62 G62m G62t G70 G71 G72 G72t. 750GB 5400rpm Hard Drive for HP Laptop. Condition Capacity RPM Buffer Size Warranty. Noise Guard technology that is a combined technology to eliminate each noise source or to minimize energy transmission. It was pulled from an HP G62-149WM Laptop. This part is carefully pulled and fully functional. 320GB 5400rpm Hard Drive for HP Laptop. Condition Capacity RPM Buffer Size Warranty. Buffer Size 8 MB Drive Type SATA. Warranty 5 Year Warranty Buffer to/from Host Max 3.0Gb/s. HP G Notebook PC. Capacity (GB) 320 F m Fact 2.5" Notebook. 320GB Hard Drive for HP Laptop. Condition Capacity RPM Buffer Size Warranty. Noise Guard technology that is a combined technology to eliminate each noise source to minimize energy transmission. First, modification of the spindle mot 's design minimizes the noise source. 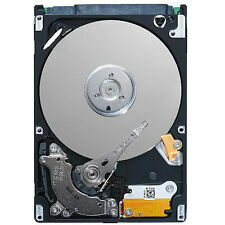 500GB 5400rpm Hard Drive for Laptop. Condition Capacity RPM Buffer Size Warranty. Buffer Size 8 MB Drive Type SATA. Warranty 3 Year Warranty Buffer to/from Host Max 3.0Gb/s. HP G62-134CA, G62-140SL, G62-140SS, G62-140US, G62-143CL. Condition Capacity RPM Buffer Size Warranty. Ultra Quiet : Advanced noise reduction using a Voice Coil Motor (VCM) Damper. Buffer Size 32MB Drive Type SATA. Product Life 5 Years Buffer to/from Host Max 3.0Gb/s or 6.0Gb/s. G42 G42T G50 G56 G60 G60T G61 G62 G62T G70 Series All Models. 320GB Hard Drive for HP Laptop. Capacity: 320GB. Buffer Size. Ultra Quiet : Advanced noise reduction using a Voice Coil Motor (VCM) Damper. 750GB Hard Drive for HP Laptop. Condition Capacity RPM Buffer Size Warranty. Ultra Quiet : Advanced noise reduction using a Voice Coil Motor (VCM) Damper. Buffer Size 8 MB Drive Type SATA. Product Life 5 Years Buffer to/from Host Max 3.0Gb/s. 320GB 5400rpm Hard Drive for HP Laptop. Condition Capacity RPM Buffer Size Warranty. Buffer Size 8 MB Drive Type SATA. Warranty 5 Year Warranty Buffer to/from Host Max 3.0Gb/s. HP G Notebook PC G62-415NR, G62-423CA, G62-435DX, G62-450SL.